The William Penn Foundation, a week after announcing it will continue to focus its grant-making activities on the region, was to announce Tuesday $10.9 million in grants designed to spur and stabilize cultural growth in and around Philadelphia. The largest grant, $2.5 million to the Kimmel Center for the Performing Arts, will support the Kimmel's efforts to provide rent relief for its resident companies and build additional sources of income. A $2 million grant will pay for climate-control systems in the Franklin Institute's special-exhibition gallery on the third floor of the Nicholas and Athena Karabots Pavilion, now under construction on the Benjamin Franklin Parkway. Jeremy Nowak, the foundation's president, said Monday that "arts and culture will continue to be a huge [grant-making] center for the foundation." But "along with traditional arts and culture and performance organizations," the foundation will also seek to strengthen the broader environment for cultural activity. "How we do it and how we make decisions … will be more rigorous, more competitive," Nowak said. "We will be providing as much in resources for traditional arts organizations as we ever did. How we do it will be different. We want people to know we're not going anywhere." 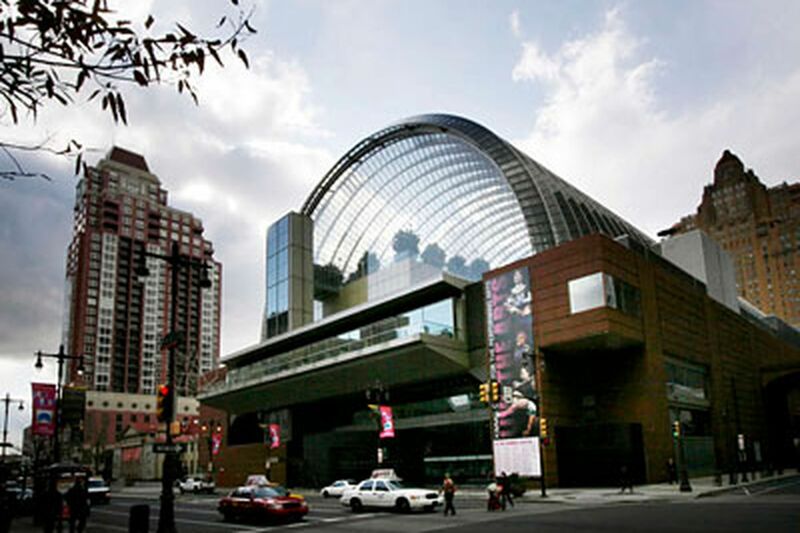 Anne Ewers, president and chief executive of the Kimmel Center, said the William Penn money would help the Kimmel replace some of the revenue that disappeared with rent reductions granted to the center's eight resident companies over the last two years, most recently to the Philadelphia Orchestra. The money will also provide support as the Kimmel seeks to build income from its renovated garden and restaurant spaces. "They wanted to help us during this period of transition," Ewers said. Dennis Wint, president and chief executive of the Franklin Institute, said the foundation's $2 million would go directly to installation of climate-control systems in the new pavilion's special-exhibition space. When the 8,000-square-foot gallery is completed in 2014, he said, the institute will be able to host "larger and more complex shows" in one contiguous space. In addition, the Franklin Institute will be able to handle exhibitions that demand stringent climate controls. In 2005, it could not host the exhibition celebrating the 300th anniversary of its own founder because relics and documents were deemed too fragile for its antiquated space. Instead, Ben Franklin's tercentenary show debuted at the National Constitution Center. Not all the William Penn grants went to giants like the Kimmel Center and the Franklin Institute. Nowak, in fact, made a point of emphasizing that organizations of all sizes received grants. InterAct Theatre, on Sansom Street, for instance, received $120,000 for programs and operating costs in 2013, its 25th season. Seth Rozin, the theater's producing artistic director, said William Penn had supported his organization since the late 1990s. "They have been our largest and most consistent supporter," Rozin said, "and they have been the most responsive to our most basic needs." The foundation also stepped outside direct support for working arts organizations to provide funding for service groups. The Greater Philadelphia Cultural Alliance received a little more than $1 million to launch its "creating change" research project. Tom Kaiden, president of the alliance, said the project would gather information about audiences, patrons, communities, donors and business models — all with an eye toward "helping organizations within the community make smart decisions." Other Penn grants went to the American Composers Forum, $126,500; the Philadelphia Chamber Music Society, $500,000; the Print Center, $250,000; 1812 Productions, $450,000; Chamber Orchestra of Philadelphia, $900,000; Tempesta di Mare, $170,000; Astral Artistic Services, $82,500; Philadelphia Dance Projects, $70,000; and the Theatre Alliance of Greater Philadelphia, $120,050 (toward transitioning programs and closing the current operations of the organization). In addition, grants went to BalletX, $300,000; Christ Church Preservation Trust, $331,197; Network for New Music, $99,905; Painted Bride Art Center, $150,000; Arden Theatre, $660,000; Grantmakers in the Arts, $200,000 (toward its annual conference, to be held in Philadelphia in 2013); and the Pew Charitable Trusts, $750,000 (to support the transition of the Cultural Data Project, a collaborative project housed at Pew, into an independent nonprofit). Contact Stephan Salisbury at 215-854-5594 or e-mail at ssalisbury@phillynews.com, or on Twitter @SPSalisbury.